This study addresses the perceptions of indigenous people in Bangladesh in relation to the causes and impacts of climate change and how they use their indigenous knowledge to manage their forest resources and apply a variety of coping strategies in the face of climate change. This study selected two indigenous communities living in Lawachara Punji (Khasia community, 18 households) and in Dolubari/Dulahazra (Tripura community, 60 households). This study used purposive sampling and collected information through a survey questionnaire as well as in-depth interviews. 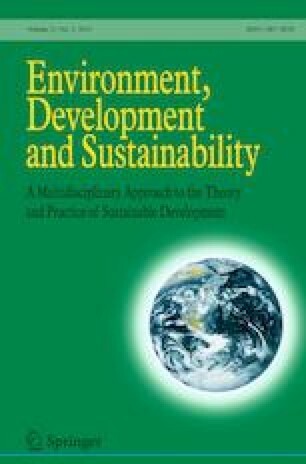 Findings show some differences between the two indigenous communities in terms of their beliefs about the causes and impacts of climate change, as well their perceptions, techniques, and knowledge as indigenous people in terms of managing their forest resources and coping with the effects of climate change. Tripura respondents believe that climate change has had adverse impacts on humans and that human activities are responsible for climate change, while Khasia respondents hold different beliefs in these respects. Khasia respondents emphasize government responsibility, raising public awareness, and the various roles people need to perform to mitigate the effects of climate change. Findings from this kind of study can provide a deeper understanding of people’s views of the causes and impacts of climate change and related dimensions, including forest resource management and coping strategies in terms of indigenous beliefs and practices. These findings can contribute to policy making in countries like Bangladesh that are particularly vulnerable to the impacts of climate change, contributing to environmental sustainability in developing countries. Bedsted, B., Mathieu, Y., & Leyrit, C. (Eds.) (2015). world wide views on climate and energy: From the world’s citizens to the climate and energy policymakers and stakeholders. Copenhagen: Danish Board of Technology Foundation, Missions Publiques, French National Commission for Public Debate. http://climateandenergy.wwviews.org/wp-content/uploads/2015/09/WWviews-Result-Report_english_low.pdf. Accessed January 11, 2017. Chao, S. (2012). Forest people: Numbers across the world. Moreton-in-Marsh, UK: Forest Peoples Programme. http://www.forestpeoples.org/sites/fpp/files/publication/2012/05/forest-peoples-numbers-across-world-final_0.pdf. Accessed October 22, 2017. Ofoegbu, C., Chirwa, P., Francis, J., & Babalola, F. (2015). Understanding forest-based livelihood practices as a climate change mitigation and adaptation option in Vhembe Districts of South Africa. Paper presented at the XIV world forestry congress, Durban, South Africa, 7–11 September. https://doi.org/10.13140/RG.2.1.2040.9363. The Asia Foundation. (2012). Climate change perception survey. Dhaka: The Asia Foundation. https://asiafoundation.org/resources/pdfs/ClimateChangeperceptionsurvey.pdf. Accessed December 27, 2016.